maXbimmer Forums - View Single Post - Indian crew roll call here! Thread: Indian crew roll call here! Indian crew roll call here! So who is of Indian ancestry or born there? If you wre born there, what city are you from? I was born in Bandra, which at that time was a small suburb of Bombay. When I was there last in 1997, I saw on BMW, and E36 M3. I know that some V10 M5's have been sold there recently, I'll probably see those next month. Here's some info about Bandra from Wikipedia. 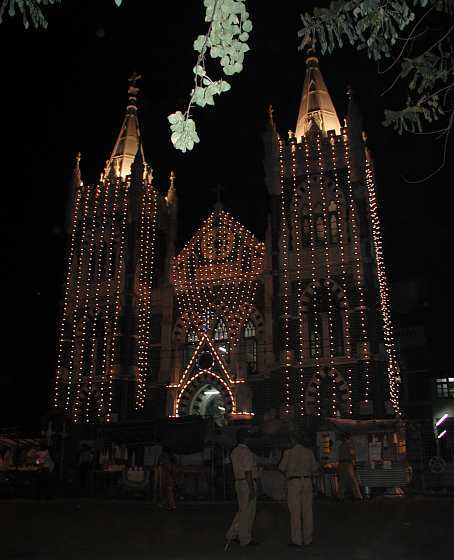 This church (Mount Mary's Basilica) is one of many churches in Bandra. Last edited by MarkD; 11-14-2005 at 08:18 PM.